With a little investment of time by community elders, helping youth realize their potential, the road connecting a youth’s passion and purpose doesn’t have to lead too far from home. After earning a degree in business administration, Lampkin climbed the corporate ladder and landed in a management role in a retail store in Mobile, Ala., 325 miles from home. Working more than 60 hours per week, he earned “a good living” pursuing what he perceived at the time to be the American dream. By many people’s standards, he was a success. But the city of nearly 200,000 that offered nearly every other amenity could not provide the one thing: familiarity. Encouraged by family, friends and the mentor from his youth, he moved back to his hometown of 17,000 at 25, unsure that he would find professional fulfillment in the only place that could provide personal satisfaction. He began working in community development, and since has created his own business, providing grant-writing and other consulting services to small businesses and nonprofits. In the process, Lampkin said he has found the secret to life: connecting one’s passion and purpose. Today, he counts Clarksdale among his own biggest assets. Writer’s note: I met Tim Lampkin at the National Rural Assembly in Washington, D.C., in September. 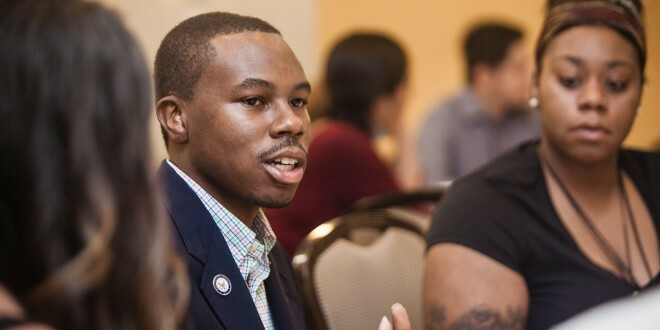 He was among a panel of young leaders who shared the reason they moved back to their home communities. His story of connecting passion and purpose to the benefit of a rural community is universally inspirational, so I asked if I could share it with Dakotafire readers.